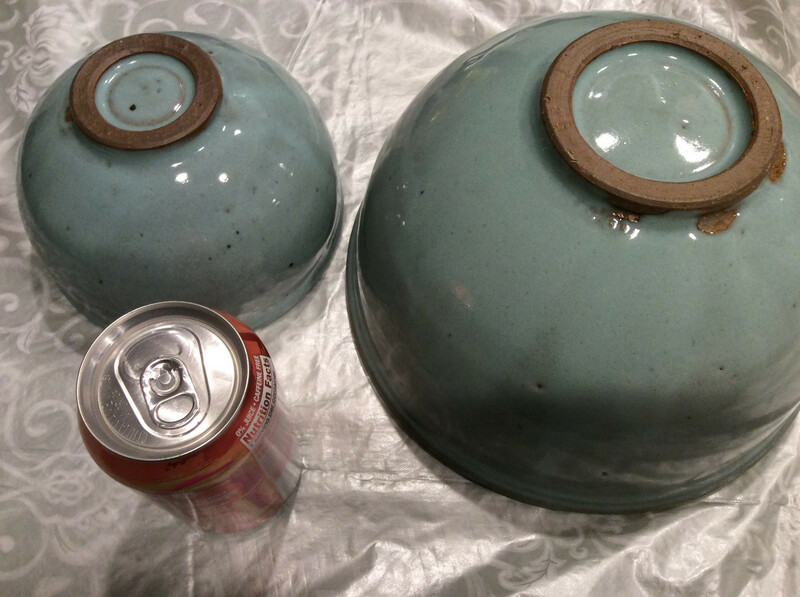 @AesAthena We splurged on this lovely set (middle one is in the dishwasher from making cookie dough) from a local potter last spring for our anniversary. 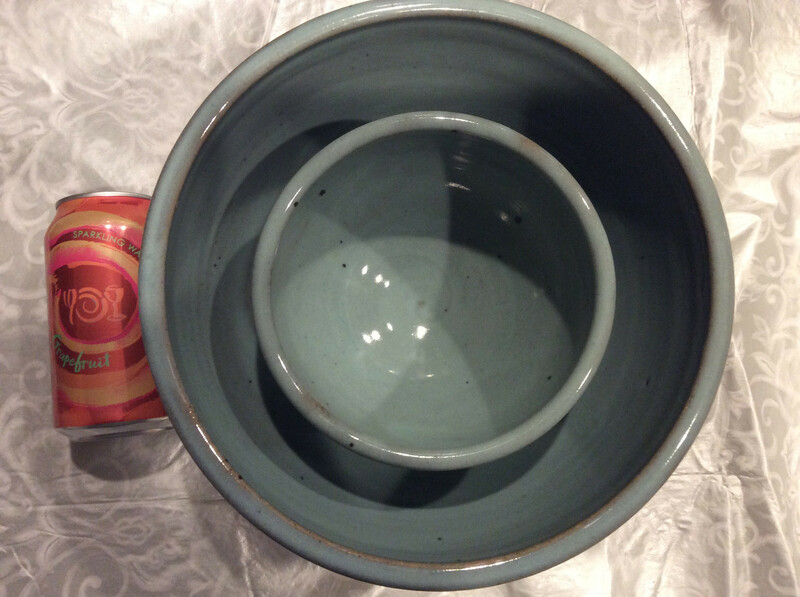 He throws really nice ware, right at the sweet spot between "this is so heavy" and "this feels too fragile to use." It looks somewhat gray on my screen but it&apos;s a robin&apos;s-egg blue. National Weather Service: Very serious winter storm coming this weekend, lotta snow, polar vortex. Stay tuned. Me: Meh. 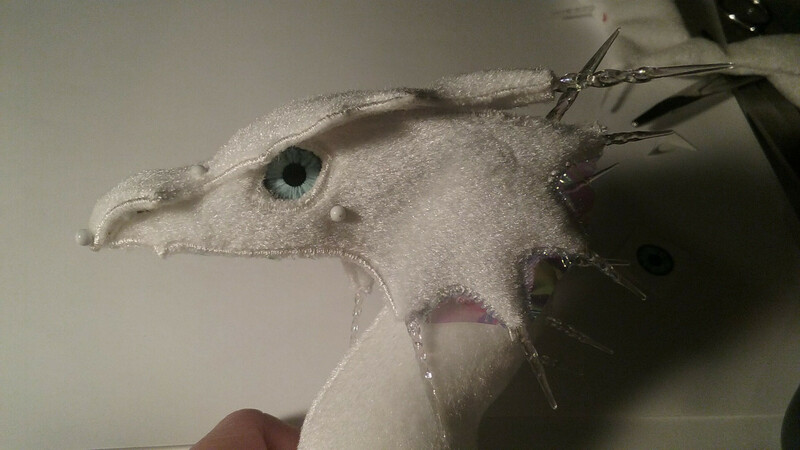 Well, at least a good opportunity to take pictures of my hopefully-finished-by-then ice dragon in real snow. National Weather Service: Hang on, new info coming in. Yeah, it&apos;s gonna be a buncha rain. Then a flash freeze. High of 19 the day the sun finally comes out. 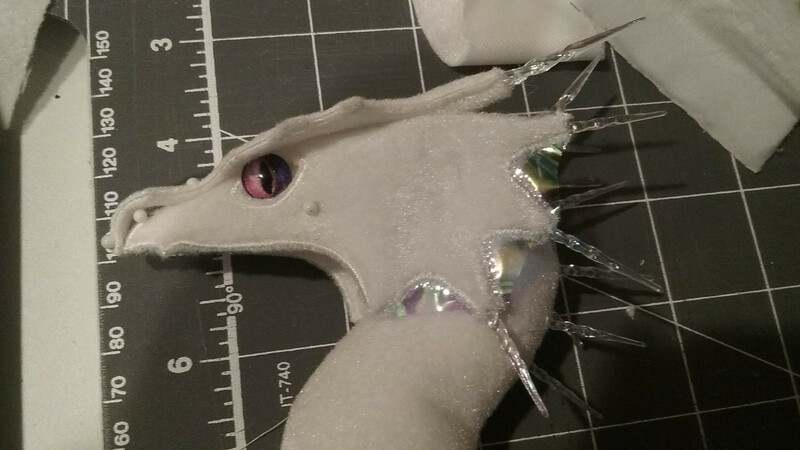 Pointy boi, alternate eye color (would have to get it in the next larger size, also yes I knocked an icicle-spike out of his face and loosened up some pins, it&apos;s all very work-in-progress here). UPDATE: Amazon&apos;s note on the replacement shipping was "UPS will pick up the return when it delivers this" but instead my friendly neighborhood brown-truck guy knocked on the door today with a label in his hand. Also I forgot to put the barcode inside the package, it&apos;s still on my desk. @mikeburns The Wikipedia Husqvarna page calls it a maker of "outdoor power products including chainsaws, trimmers, brushcutters, cultivators, garden tractors, mowers, and sewing machines" so I am fine with calling my Vikings "power tools" (although I keep them indoors). One of the Vikings and the Brother is also a "CNC machine" and they&apos;re all 3d printers of a sort. Not sure why they exclude half the market by making &apos;em pink. In case you ever thought an embroidery machine was magical and did all the work for you, I am here to report NOPE. 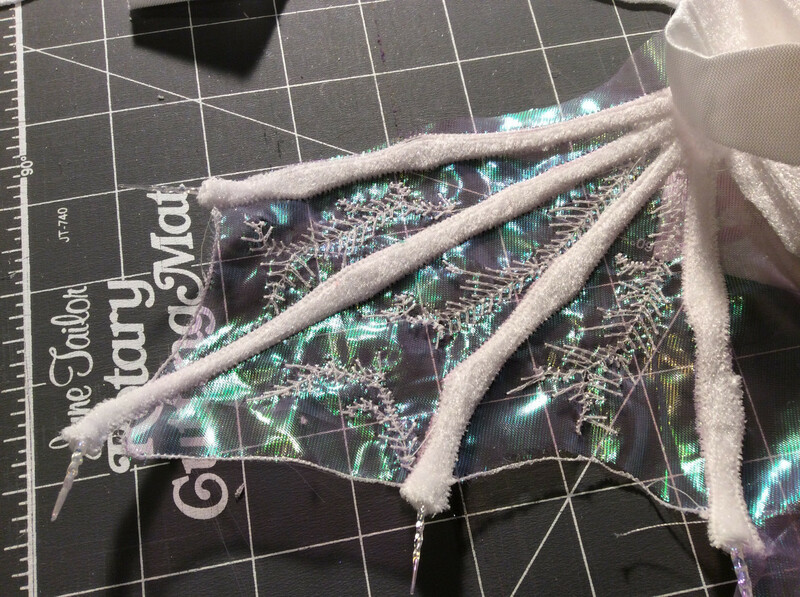 I could do all this on a conventional machine but I would have given up a long time ago if I had to keep doing the repetitive work (which, to be clear, I am teaching the machine to do on sometimes a stitch-by-stitch basis; the wings will not be identical, etc.). Still not perfect but better. 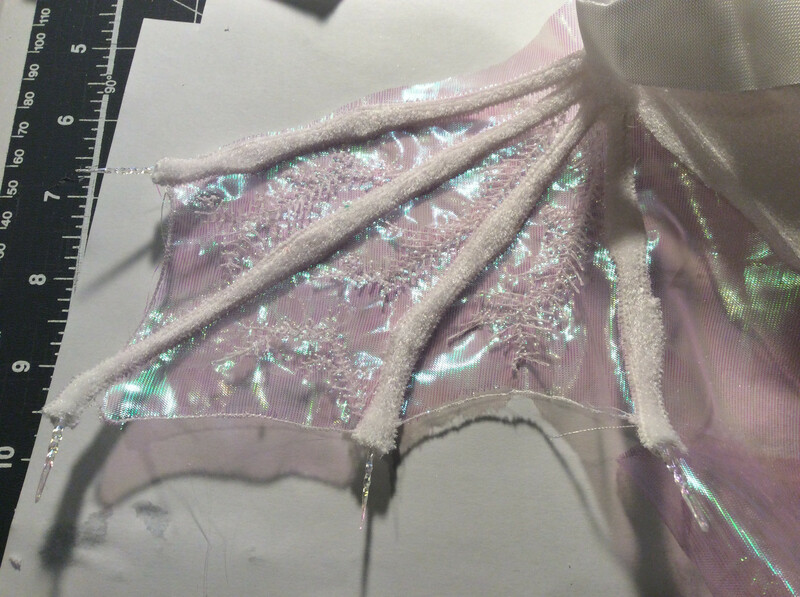 Gonna let this dry and start on the other wing before I decide if the booboos are worth fixing or if I should run this wing again. 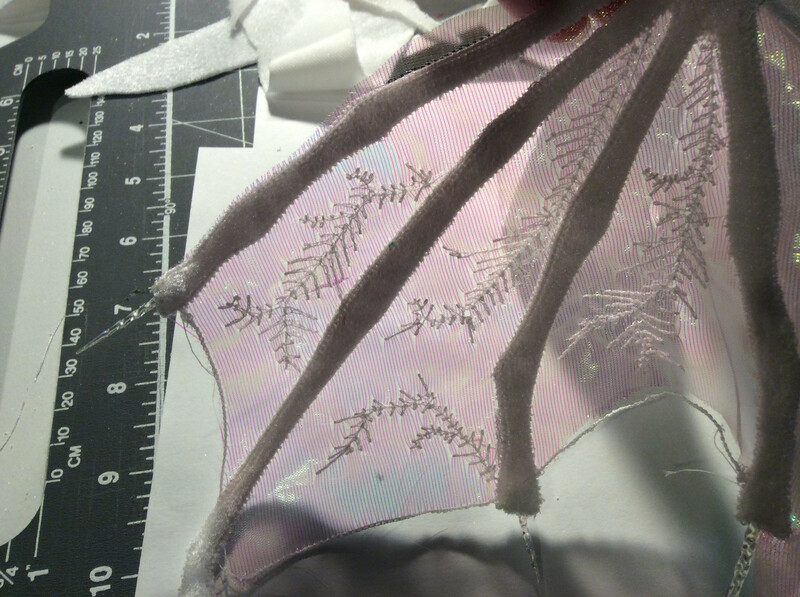 The membrane fabric reads very differently depending on the light and background: iridescent reflective, pink transparent, or nearly invisible. I&apos;d have preferred blue or lavender base fabric, but it&apos;s growing on me. New day, new run at the wing problem: didn&apos;t wanna run it on Ultra Solvy (which is water-soluble but very thick and difficult to rinse out fully; fine for free-standing lace where the residual stuff acts as starch, less fine for dragon wing), so I was debating about getting regular Solvy but the nearest store is ~30 minutes away. @ziphi Well, you&apos;d think that after coming out as bi, then pan, and then as maybe-trans, that she&apos;d have had enough practice. And yeah, we came here from Kansas, and most of the family back there... well, let us just say that we all agreed that the name/pronoun switch should not happen until after we came back from Christmas.